How would it feel if your content is visible to more people, and not just any people, but those who are your target audience? How would it feel to put your blog across those who are sold out on your expertise in your niche? All of this is just one platform away. But, yes there is always a but… before I take you on a drive where we talk business, I would like you to appreciate how awesomeness (if that even is a word). Yes, You! The one staring at the screen, you are AWESOME all kind of Awesome. It takes a lot to be a blogger, a real one and you are one, so you are awesome in every way. So, before we dive into our topic and explore the how and why of LinkedIn for Bloggers, take a deep breath and appreciate yourself, If possible treat yourself with your favorite pudding today ( and if you are not a pudding person like me, pick anything you want, but treat yourself well). You have earned it. And this is where LinkedIn comes in. Now there are not debates on LinkedIn being the best business networking platform out there. If you are in Business, you got to be on LinkedIn (well thats another topic, and I know you are sold on LinkedIn already, and that is why you are reading this blog). Google LOVES LinkedIn as a matter of fact even Bing does and I am so taking that all search engines do. If you are not there you are missing out, and you are missing out BIG. But I am there ( Yeah right, having a profile with your education and job details is as good as not having one) So you got to get it right, with a profile that speaks to your target audience and introduces you as the expert you are. Visibility If anywhere in the back of your mind you have a thought that LinkedIn if only for people looking for jobs, or dead corporate connections, flush that thought out of your system right away. For all kind of people who mean business are there, Brands you can promote, PR folks you can network with, Agencies you can guest write for and also your next client and reader. They are all on LinkedIn. Professional & Trusting Blogging as an industry is still on a boom, its growing at a rapid speed, and like every industry even blogging has attracted amateurs who think it is a joke to blog or for better make money out of blogging. Resulting in bloggers earning a bad reputation, of not being professional and trust worthy when it comes to deliverables and commitments. A profound presence on LinkedIn impacts a bloggers reputation in a big way, and in multiple ways. Networking again has its raving fans and haters like every great thing does. Networking when done right can be the strongest assist to a business or a person. People usually go and network with every TDH which definitely is a waste of everything (more than time the opportunity which could have been used to network with the right person), and only once they network they know wether or not this person adds value to their network in any way. However, on LinkedIn you can be as sure as one can be when it comes to networking. A little search through the profile and you know if it is worth it. Show Off Your Skills Facebook Instagram Snapchat and all alike are platforms where people who off mainly their lifestyle, relationships, pets, and what not. LinkedIn is a platform to show off your “Professional Self” yes we do that one facebook too and there is no harm in it, but LinkedIn leads and is a clear winner when it comes to quality of people you attract. Show off your latest blog, your love note from a client, your working process, your X-factor, share tips and tricks, talk about trends, forecasts a few if you can. I help service-based businesses growth hack to the next level of profits through the power of integrated strategies. All these together will serve the purpose of not only putting your content in front of more eyes and brains (that too of right people) but also would establish you as an authority in your domain. 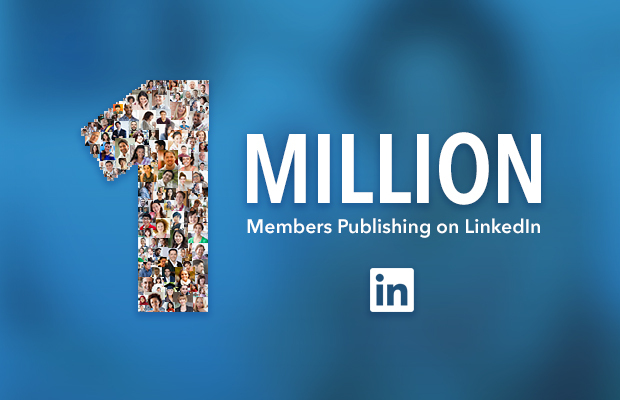 LinkedIn, when used in a strategic fashion, could also become your Lead Generation Machine. The one that ensures you bank your blogs every single time you get your fingers on the mighty keyboard. So what are you waiting for? Have a lingering question about LinkedIn that I did not answer? Reach out to me in the comments box or on my Facebook Group, and we will find the answers together. Want to know how you are doing on LinkedIn?